Nepean Building Permits and Consultants was established in 1994 and has been serving the building community actively in that time having issued over 40,000 building permits. The firm is committed to providing an efficient, prompt and competitive building permit service. All staff are highly experienced and can provide reliable and friendly advice regarding all building related queries. At Nepean we strive to deliver a quality permit and inspection service and pride ourselves on the fast turnaround times for all applications. This is something that many other companies simply cannot deliver. 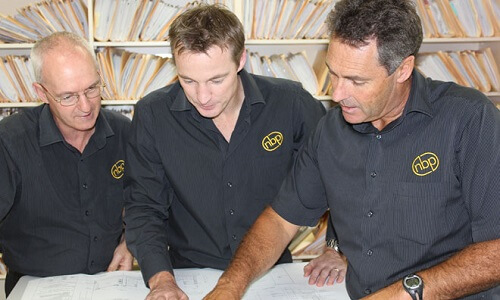 In the building industry local knowledge is considered critical and at Nepean we can confirm that the three business partners have over 50 year’s experience in building control, be it at Local Government or in private practice. All partners have been actively engaged in the building industry within the Mornington Peninsula over this period and thereby can provide second to none advice and experience on the possible problems and pitfalls for building within this area. For all building works outside the Mornington Peninsula specialist contractors are used for inspections that live locally and are again clued up on local conditions. The partners and staff at Nepean Building Permits are dedicated to making your building dreams come to life by providing a timely and cost effective permit process.